More than 50,000 guests are projected to attend the 2019 Wings Over North Georgia air show at Rome’s Russell Regional Airport on Labor Day Weekend (Aug 31-Sep 1). Our 8th annual world class air show will feature jet and formation demonstration teams, aerobatics, vintage & war-bird aircraft, craft beer garden, and ground demonstrations. There is a General Aviation Fly-In planned for all those airplane owners that prefer to fly directly into the air show. 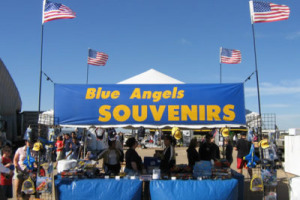 If you are interested in sharing your products to airshow spectators please complete the application above and return it via email or mail to either tina@wingsovernorthgeorgia.com or P.O. Box 789, Rome, GA 30162. If you have any questions please contact the air show office (706) 291-0030. Please complete the application fully. Inquirers must include the following information: Products, Retail Unit/Booth Pictures and overall space size needed. Our goal is to always maintain quality products to fully satisfy our air show fan’s experience!